A large number of people suffer from heart disease. Due to this disease, a large number of people experience pain in their left shoulder and even in the left arm. 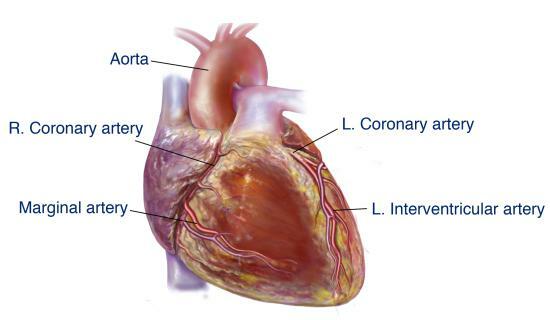 A majority of the heart diseases occur due to the obstruction in the arteries. Any damage to these blood vessels hampers the proper flow of blood to the heart muscles. However, there are many Ayurvedic treatments available for heart disease. We are going to take a look at some of the ayurvedic remedies that help to get rid of heart disease. Ayurveda considers that there is a link between the heart and the mind. If one is affected, the repercussions are felt on the other and vice-versa. We are going to take a look at some of Ayurvedic remedies that help to get rid of heart disease. One good Ayurvedic remedy for heart disease is the Arjuna or the Terminalia Arjuna tree. The bark of this tree is highly beneficial in treating heart disease. Heart disease is generally of two types. One in which there is extreme pain in the left side of the body and the other involves mild pain or a burning sensation. In both the types of heart disease, the bark of arjuna can play a huge role. If the person is suffering from pain in the left side of the body, he or she is given a concoction of powder made up of arjuna bark and ghee. However, if the person is suffering pain or burning sensation in the chest then he is given a concoction of the powder made up of arjuna bark and milk. One of the effective ayurvedic remedies to get rid of heart disease is eating all the right things and avoiding all the wrong things. A person suffering from heart disease should not eat foods such as pulses or substances made from pulses, should avoid excess of oils and fried foods. Buffalo milk or cheese made from buffalo milk is strictly avoided. A person suffering from heart disease should be given foods such as ghee, vegetables and cow’s milk or cheese made from cow’s milk. A person suffering from heart disease should stay away completely from stimulants such as tea, coffee and other beverages and should give up the habits of smoking and drinking. Ayurveda also advises that a person suffering from heart disease should not be involved in any kind of strenuous activities that might increase blood pressure. The person should also take a good amount of rest at night as well as during the daytime. The person should avoid staying awake especially at night time. If the person is suffering from other problems such as constipation then it is advisable that he drinks at least a glass of water in the morning or go for a brisk walk. Some great suggestions here. Thanks for sharing such ueful things. My heart problem started at 57 yrs of age in 2007,when my pulse rate at times were getting low & I started feeling giddiness, Echo test was done,where LA was found elongnated,E.F 35-40%.Iwas admitted in Metro hospital in Delhi & a double chamber pace maker was implanted. Later, in 2010 end, I was diagnosed as my heart beats was sthooting up too, sometimes to 129-140 but for few seconds i.e 2-4 secs.Then in 2011 july, it was replaced by another advance pacemaker CRTP in AIIMS Delhi. Medicines viz Ramprill, Dytor plus, Cara,diogicin, Acitron etc is continuing since then.In Oct, 2012, I had fallen in ground at home then INR was 1.73.I again on Dec 16, 2014; I had giddiness & fallen twice at 4 am & then again at 6 a.m. At that time, I had gastric problem too. Then in Feb,2015, reprogramming was done in AIIMS. At present, I am feeling severe breathing problem, B.P many times low & I get exhausted very soon.After every minor work like after bath or for going to toilet or even after little pooja of 30-45 mts, I feel exhausted & need rest pause of 10-15 mts. I want to get rid of this helpness of heart weakness & getting tired soon perhaps because of low E.F & low circulation of oxygenated bloods causing tireness in me.Presently I am 66yrs old (retired director from Govt. job) & I am 5 ft 3 in tall wt 77 Kg high, stomach little buldging out, having gas problem & insomania too. Please suggest some Naturopathy or Ayurvedic treatment for improvement in health so that I can work & not be dependent on anybody for my ailmentss or otherwise. Presently my tension is my son 32 years old not working & violent along with easy & royal lifestyle. thanks, hope for suitable medical guidANCE/TREATMENT.